As a future bride, my daughter can use a tiara and sash set for upcoming showers. Finding a set that with a cloth sash and tiara that isn't made from plastic proved to be challenging. The option to review a set at a discount was made available to me. The product description indicated that the sash is made of fabric. Since You've Been Reviewed is a great place to highlight products, I thought why not give the set a try? My thinking was that any bridal set with banner and tiara should last at least one wearing. (Although more is ideal.) It also occurred to me that if she didn't like the set, that another bride-to-be might. So, with this in mind, I ordered the bridal sash and tiara through Amazon. Despite bad weather, the package arrived in good condition. The Bride To Be Glitter Tiara and Bride To Be Party Sash arrived in good shape. The quality is good enough to last for several wearings. Edges on the polyester sash are sewn well. Printing is even throughout and the edges of the letters are crisp and even. There are no light spots and the black letters are crisp against the medium pink sash. Rhinestones stayed secure even after being rubbed vigorously. Several of the ones that I have looked at previously were plastic. Not this one. This tiara is made of lightweight metal. I don't think she will have any problem with loose glitter. Tapping on it while holding it over the packaging seems to have taken care of most of the excess. 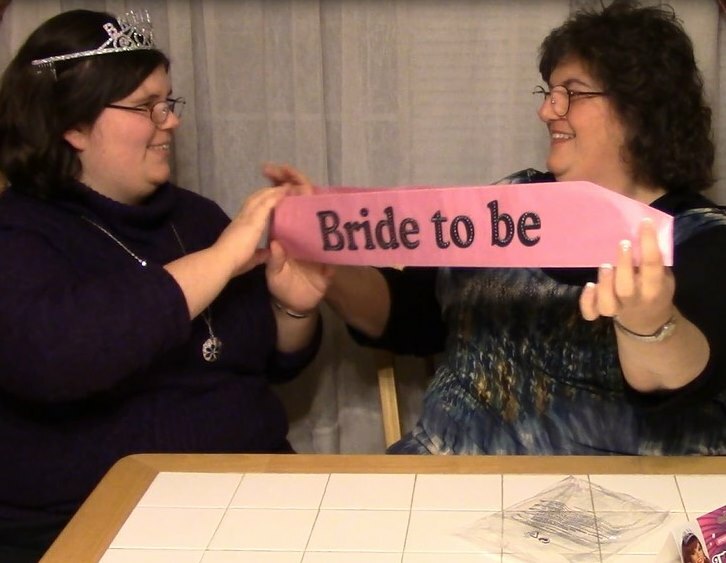 Unboxing a bride tiara and sash set on Vimeo.